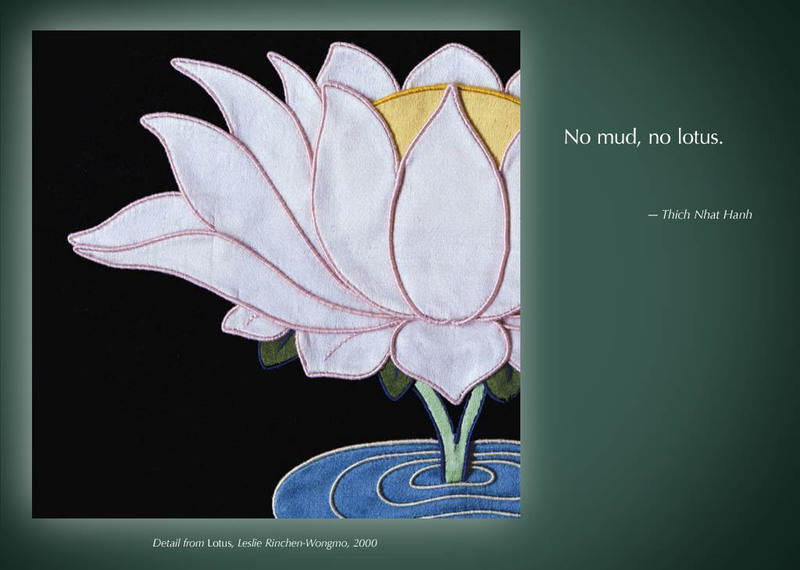 This Thanksgiving, I am grateful for the rain that brings the mud that brings the lotus. What are you grateful for? And no rain, no mud. It feels like I’m slogging through a lot of mud just now–and there’s no end in sight. May my path be furrows; let the flowers come in spring. The lotus pictured is by Leslie Rinchen-Wongmo, one of the only westerners trained in the rare Buddhist art of silk applique thangkas. His Holiness the Dalai Lama gave his blessings to Leslie’s work and encouraged her to make images that speak to the spiritual aspirations of people across religions and cultures. Learn more about Leslie’s work from the documentary film, Creating Buddhas: the Making and Meaning of Fabric Thangkas. See photos from Leslie’s recent trip to India here: http://journeyinindia.tumblr.com. ← I want YOU to VOTE!